We started with a 4 oz package of Trader Joe’s Teriyaki Beef Jerky and put it in the food processor for several minutes. 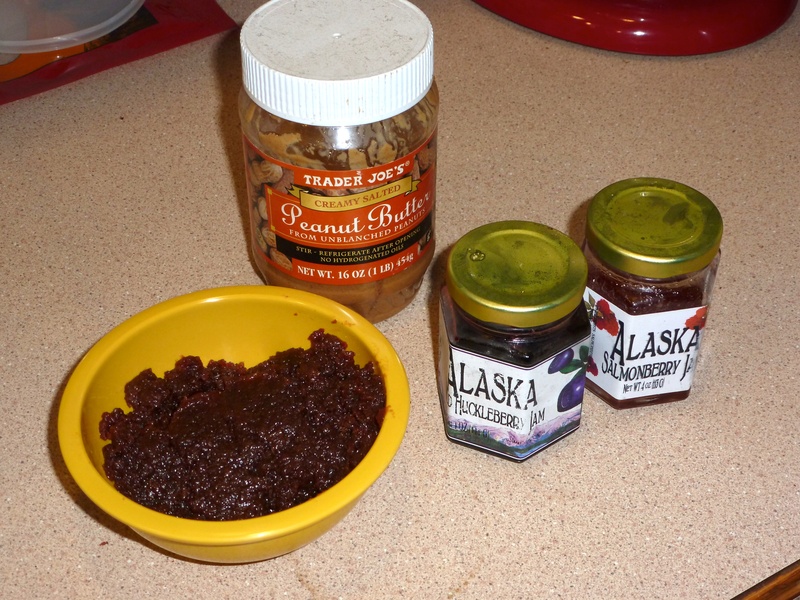 However, the jerky was lean enough that it just would not come together into a paste — we simply got jerky powder. So, in honor of International Bacon Day yesterday, we added a couple spoonfuls of bacon grease. The jerky butter thickened right up, although it was still a little chunky. 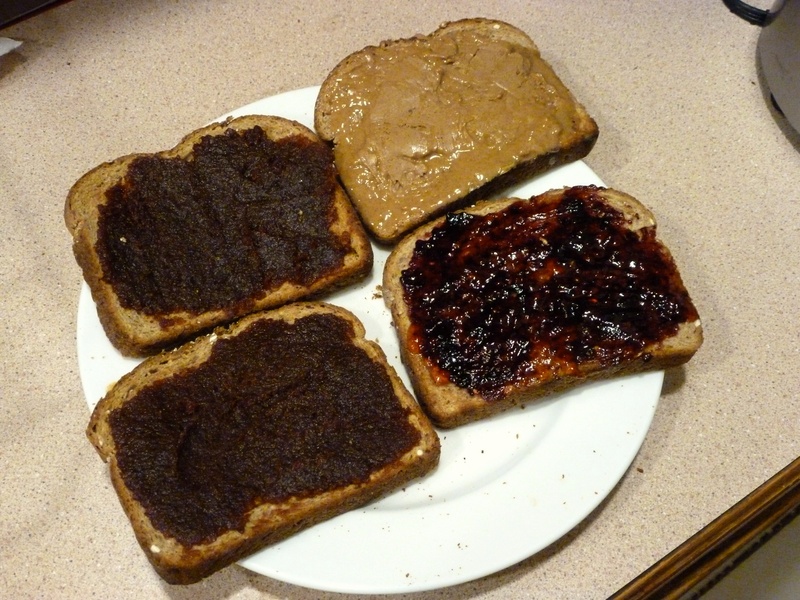 We spread it on toast and made one sandwich with peanut butter and jerky, then a second with jerky butter and jelly. 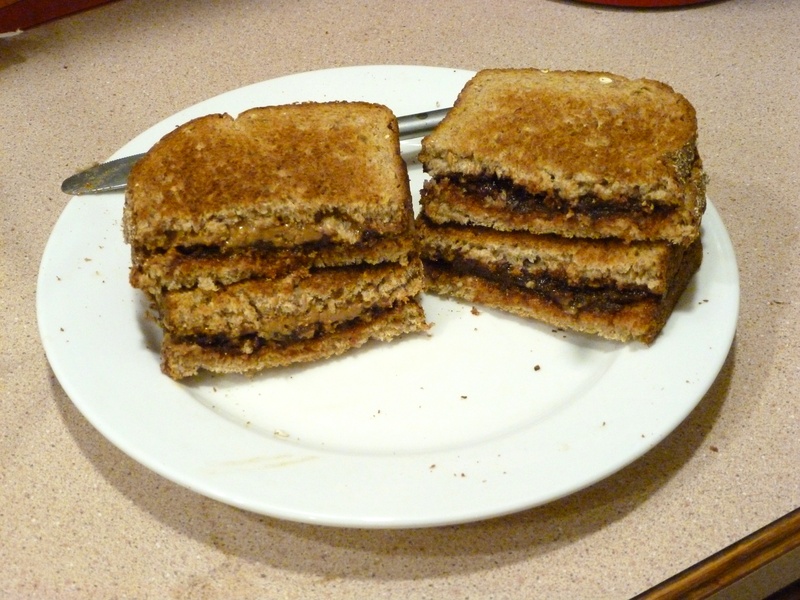 Then we made another that was PB, J, & J.
Alex: Whoa. Intense, man. Good intense. Alex: The flavors combine very well, but it leaves your mouth very, very dry. Beth: Delightfully savory. The teriyaki jerky butter almost gives the smooth peanut butter the caramelized crunchiness of chunky honey roasted peanut butter. Alex: A lot moister, but without the peanut butter, it’s missing something. The peanut butter really rings out the jerky. Beth: Like a fruit-marinated roast in sandwich form. Tasty, but I do miss the peanut butter. Alex: Pretty good. The best of the flavor combinations. Beth: Flavor overload. Ok, but I’d prefer to alternate bites of the other combinations than have them all together.